Our client is a leading manufacturer of disability living aids with a global presence and having been established for over 30 years. Their products include seating, standing, walking, toileting, and bathing aids. They are currently seeking a Product Advisor to promote and sell their range of mobility/disability products. Dealing with the NHS, local authorities, Community and schools. This will also involve carrying out product training and demonstrations with Occupational therapists and physiotherapists. Mainly focusing on paediatrics. This is a great opportunity to work for one of the fastest growing companies in the sector. Candidates from background in sports science, occupational Therapy or physiotherapy will be considered. 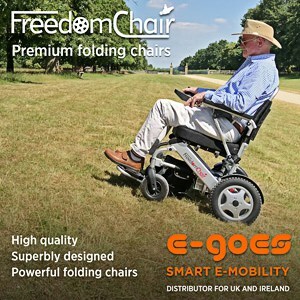 As will those who have sold mobility/disability related products into a Local Authorities and the NHS. Those with paediatric product experience will be highly advantageous. Salary of between £26k to £32k Depending on Experience, With an OTE of £45k-£50k, company van, phone, tablet, pension. You will be paid commission on every sale! Confidentially send a copy of your CV to Antony@trustedrecruiter.co.uk Including job reference 495 to discuss further.